The French rock star and actor Johnny Hallyday has died aged 74. The music star who sold more than 110 million records during his career had been battling lung cancer and was hospitalized on November 17 in Paris. 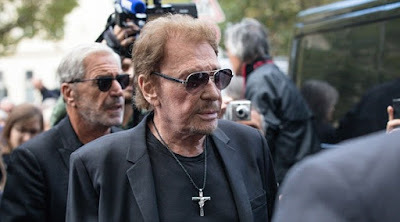 'Johnny Hallyday has left us,' Hallyday's wife, Laeticia, said in a statement on Wednesday.